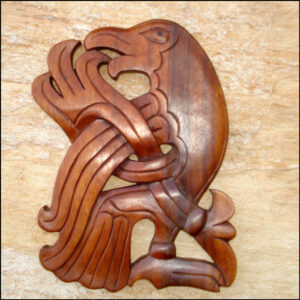 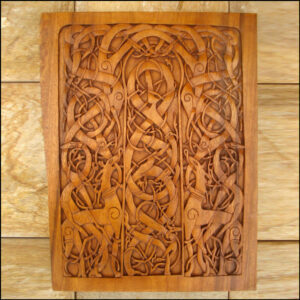 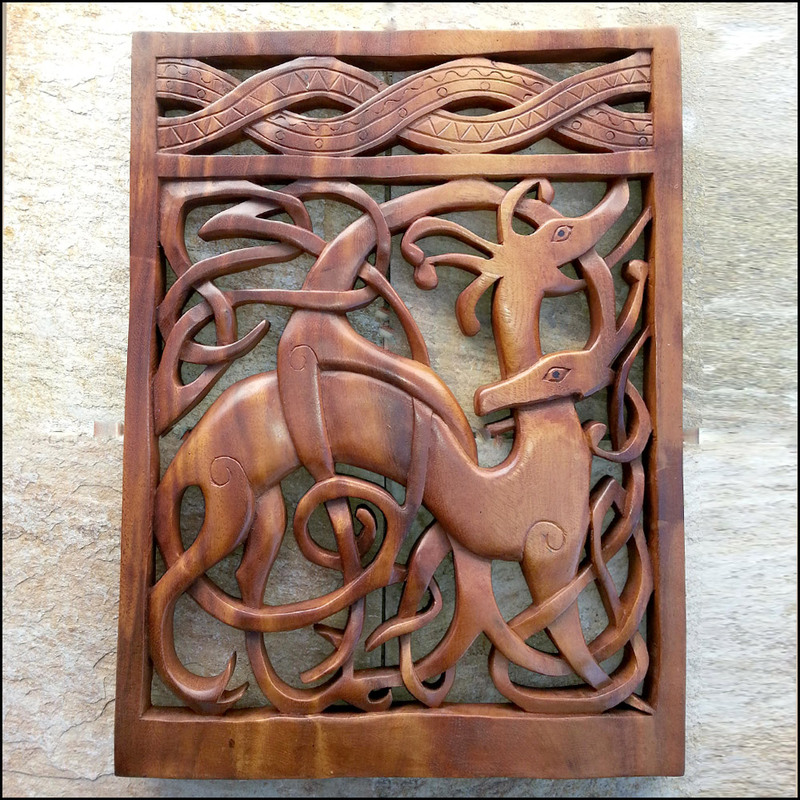 Inspired by the Urnes church wood panels, a deer and a snake. 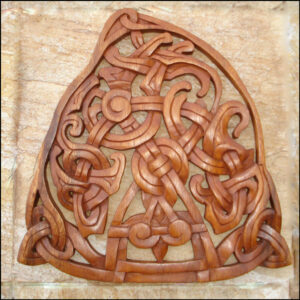 Taken from the legend of Ygddrasil, the Tree That Bears The Worlds. 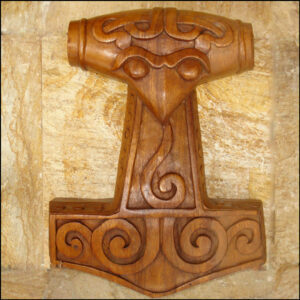 The deer are eating the bark in Midgard and the snakes are eating at the roots in Hell.